Some of the best and brightest? have stepped forward with a plan for California. California was not even on Candidate Trump’s radar in 2016 even though California is a gorilla in the room as regards popular votes and the electoral college. Candidate Trump ignored California and considered it a foregone conclusion that the state was/is a loser. This is California, after all, and the divisions seem to be a chasm with those on both sides being really upset with the other. Social media is abuzz with rational and irrational claims, counter claims, statements, and abuse. Will the majority of Californians vote for Calexit? Do they understand the magnitude of this venture? What will Kalifornia’s new country’s currency be? What will its value be based on, or will currency just be printed willy nilly as is done in some countries like impoverished Zimbabwe leaving inflation at 1000% and higher? Naturally and given present trends, Kaliazatlan will have to pay for a multi-billion dollar wall along the borders with Oregon Nevada, and Arizona. What kind of educational program will Tierra de Tontos e Idiotas provide for its children, as well as healthcare for them and everyone else? What will Kalifornians be required to pay in taxes to support the country and pay off its already humongous debts. Will the Hollywood mavens step up to foot the bills? Given the regulatory environment of Kaliazatlan, will new businesses grow and thrive? How to keep the few remaining businesses here? Will Governor Brown become President for life of Tierra de Tontos e Idiotas until overtaken by a coup and hung? These are just a few of the thousands of disparate questions that must be answered to convince voters that Calexit will be just peaches and cream. The organizers and leaders of this fantasy will need to find a way to convince voters (by lying) to support this frivolous proposal by a political leadership that assumes that everyone in California is an ignorant dolt to be led around by her or his nose. Of course, they can lie – they always do. Will people fall for the lies and inevitable deceit or begin to demand the truth? Then, with 57 counties in California, there are those who will demand taking another direction. The state of Jefferson would probably come into being if Calexit went through. 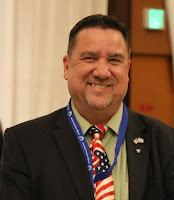 State Senator Jeff Stone once proposed breaking California into several smaller states located north and East of the liberal bastions along the coast. A Calexit could produce four or five states, mostly conservative. Me, I think this Calexit fools errand proposal will be DOA as long as people speak up and work to inform others about the malignant menace that California’s liberal political leadership majority actually is. Article II establishes the Executive Branch. The Founding Fathers were anxious regarding the creation of the office of the executive because they feared that a leader with too much power had the potential of being tyrannical. Many of the founders even argued that there should not be one executive, but many, so that they may serve as checks against each other. Their concerns were well placed, if one considers that their frame of reference was the authoritarian king of the British Empire. Despite their fears, they knew that the authorities of the president under the Articles of Confederation were too few, leaving the office of the president much too weak to adequately serve the union. The founders were looking for a strong leader that also recognized the limitations on the authorities of the federal government as granted by the States through the articles of the Constitution. The best model for the presidency was a simple choice. Article II was written, some believe, with George Washington in mind. Article II, Section 1, Clause 1 states that the powers of the executive are “vested.” This word, as we learned when we went over Article I, Section 1, carries a meaning similar to that of the word “granted.” Vested means “legally transferred.” The President’s authorities are powers given to him through a legal transfer of authorities. The powers vested to the Executive Branch were granted by the States. The founders understood that whenever there is a “leader,” there is a struggle for power. America has been no different. The office of the president has increased its powers over the years, mostly through unconstitutional means. The Founding Fathers sought to limit the powers to the executive. Among those limitations of powers is also a term-limit. The executive is limited to a term of four years, as is the Vice President. The election of the President and Vice President is not accomplished by direct election. Appointed electors vote for the President and Vice President. The electors were originally appointed by the States during the early elections of American History. The formula for determining the number of electors is determined by taking the number of Representatives and Senators the State is entitled in Congress, and combining those two numbers. This method of indirect election is also known as The Electoral College, which was designed in this manner specifically to protect the United States against the excesses of democracy. After the 2000 election, where the winner of the popular vote was denied the presidency because he did not win the fight for electors, questions regarding the Electoral College arose. It was only the fourth time in history such an event occurred. To find precedents resembling the 2000 election one has to go back to the 19th century, to the elections of 1888, 1876, and 1824. Those were the only elections in American history prior to the election in 2000 where a winner in the popular vote was denied the presidency through the Electoral College system. Recently, there has been a number of officials promising to introduce legislation to abolish the Electoral College, claiming that it no longer serves a good purpose in modern politics. The reasoning of these folks that oppose the Electoral College suggests that the United States should simply allow the popular vote of the American people be followed every four years when we elect our president. A number of Americans have voiced their agreement with this opinion, arguing that the individual running for President receiving the most votes should win. An indirect election such as the Electoral College, argue these folks, is simply unfair and undemocratic. In other words, they believe the American political system should operate as a direct democracy. The Founding Fathers purposely did not make this country a democracy. The United States is a Republic, equipped with checks and balances at all levels of government, including the voting process. Democracies were proven, according to the founders, to be failures. The founders are not the only historical figures to recognize that a democracy opposes liberty. Karl Marx, the father of communism, understood that the implementation of a democracy is a necessary step in the process of destroying our Constitutional Republic. Once the people are fooled to believe that they can receive gifts from the treasury rather than achieve for their livelihood, they will continually vote in the people who ensure the entitlements continue to flow. Eventually, this mindset becomes the majority. This group then changes over time from an involved and informed electorate to a populace that lacks the understanding of the principles of liberty and can easily be manipulated into believing that sacrificing individual liberty in exchange for social justice and security is a price that we must be willing to pay. A group that is dependent upon the government in such a manner, then, is prime to vote into power a tyranny. Eliminating the Electoral College would make it easier for these members of our society to vote into office those that promise more entitlements. The founders were aware of this danger, which is why they established our system of government, and the electoral college, in the manner they did. A true democracy becomes “mob rule,” and the principles of liberty become a target for elimination. In order to preserve our Constitutional Republic it was imperative for the vote of the people to be indirect, except when it came to voting for their representatives in the House of Representatives. The Founding Fathers divided power as much as possible, including the power of the vote. Originally, the State Legislatures appointed the electors that cast their votes in the Presidential Election. That changed in 1824 when all but six states decided the electors should to vote in line with the popular vote. U.S. Senators were initially appointed by the State Legislatures, which ensured the voice of the States was present in the federal government. That changed in 1913 with the 17th Amendment, which transferred the vote for the U.S. Senators to the popular vote. The 17th Amendment took away from the States their representation in the federal government. The Founding Fathers divided the voting power as they did partially because if the power to vote for president, the House, and the Senate all fell to the people, and if the people were fooled by some political ideology that wished to destroy the republic by fundamentally changing the American System, a tyranny could be easily voted into control of all parts of the government without any checks present whatsoever. When the majority of voters are uninformed in such a manner, and are given the full voting power, tyranny is inevitable. The elimination of the Electoral College would take away the voice of the smaller states, give the election of the President to the seven largest metropolitan centers in the United States, and lead America even closer to becoming a democracy. Democracy is a transitional governmental system that ultimately leads to tyranny. This was true in the days of the French Revolution no less than it is true today. Our country is not a democracy. Our nation was founded as a constitutionally limited republic. The indirect election of the President through the Electoral College reflects that truth, and the Electoral College is one of the last vestiges of the system of checks and balances as they apply to the voters. Article II, Section 1, Clause 4 indicates that the Congress may determine the time and day the electors are chosen, and give their votes. The day they vote for President and Vice President, according to this clause, will be the same day nationally. The rules for the popular election, if you will remember from Article I, are to be established by the State legislatures. Article II, Section 1, Clause 5 states that the eligibility for President includes the requirement that the individual be a natural born Citizen. The Fourteenth Amendment, in this clause, as it states, only addresses “citizenship” - not the concept of being a natural born citizen. Therefore, it does not apply when discussing the concept of natural born citizenship. The clause was written as it was to protect the citizenship of the children of the emancipated slaves. The word “jurisdiction” was placed in that clause to mean “full allegiance.” There was a fear during that time, as there had been during the founding of this nation, of divided allegiance, or divided loyalties. Natural Born Citizen is not defined in the Constitution primarily because it was common knowledge. People understood what the term “Natural Born Citizen” meant. Today we have a number of terms that are understood without needing to be defined. One of those terms is “fast food.” Without needing a definition provided, most people know what “fast food” is. That does not mean the term will be readily understood by some historian of the future. He may ask himself, when he comes across that term in our literature, “Why is it their food was fast? Did it run quickly away from them?” To understand what “fast food” meant to us, he may have to refer to a number of writings before he finally comes across the definition. Vatell’s Law of Nations is mentioned once in the Constitution in Article I, Section 8, Clause 10, and it is capitalized - which suggests the mention of the Law of Nations to be a proper noun, thus supporting the argument that it is a direct reference to Vatell’s writings. Recently, it was discovered that George Washington failed to return a couple library books to the New York City Public Library. One of those books was Vatell’s Law of Nations. Washington checked the book out in 1789, shortly after the Constitutional Convention, probably because of the heavy influence the definitions in Vatell’s Law of Nations played on the writing of the U.S. Constitution. Benjamin Franklin owned three copies of the Law of Nations - two for the convention, and one for his personal use. He received those copies from the editor, Dumas, in 1775. Vatell’s Law of Nations Section 212 indicates that to be a Natural Born Citizen both parents must be citizens at the time of the birth of the child. As with the Fourteenth Amendment, there was a fear of divided allegiance. Article II also establishes that in order to be eligible for the presidency the candidate must be at least the age of 35. This requirement, reasoned the founders, would ensure that the immaturities of youth had passed away. Along with a relatively mature age, the Constitution indicates that the president must also have been a resident of the United States for the last fourteen years. This, once again, was a guard against divided loyalties. The Vice President must also meet all eligibility requirements. In the 18th century the Vice President was the second place winner in the election, and therefore had to be eligible because he was originally running for President. Now, the Vice President is elected as a part of the presidential ticket. However, to ensure it was clear that the Vice President also had to be eligible for the presidency, especially since he was next in line for the presidency should the Office of President be vacated, the 12th Amendment ends with a sentence that demands the Vice President is eligible for the presidency. Article II, Section 1, Clause 6 was changed by the Twelfth Amendment. This clause established the rules in case of the death of the President while in office. The clause gave the Office of the President to the Vice President in the case of death. The ambiguity of the clause, however, created confusion. In the case of President Benjamin Harrison who died after only 30 days in office, it created a constitutional crisis. The officials of that time did not know what to do. When old Tippecanoe died, he was succeeded by his Vice-President John Tyler, but since no President had died in office before, no one was quite sure how Presidential succession worked. The Constitution stipulated that the Vice-President should become the new President, but it was not clear if the Vice-President should be considered a "real" President, or if he only “acted” as President. The Tyler administration made it clear that Vice-Presidents who became President after the death of the elected President should be treated as legitimate Presidents. The Twelfth Amendment later addressed the problem with more specified rules. Later, succession was resolved once and for all with the ratification of the 25th Amendment in 1967. Article II, Section 1, Clause 7 allows for the President to be compensated for his service as President of the United States. This salary is not to be increased or diminished while the President serves. The President, according to this clause, is also not allowed to receive any other governmental salary from the federal government during his term as President. In George Washington’s First Inaugural Address, he announced that he would accept no salary as President. In the final Clause of Article II, Section 1, the Oath or Affirmation for the Office of President was established. The reason for the clause indicating Oath “or” Affirmation was because an Oath is to God, and an Affirmation is not. The founders understood that not all Americans believe in God, therefore an option needed to be available for non-believers. Affirmation was also included as an option because there were some Christians that believed swearing to God to be a sin. Offering the opportunity to “affirm” gave these Christians an opportunity to take the affirmation of office without compromising their religious beliefs. 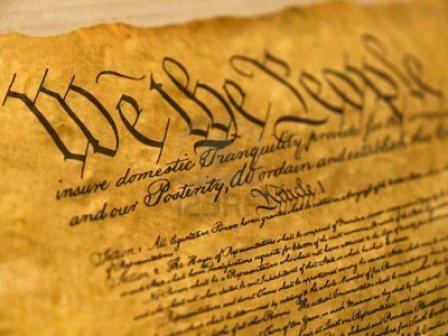 Note that the President is expected, according to the text of the oath or affirmation, to preserve, protect, and defend the Constitution of the United States. You will also note that placing one’s hand on a Bible is not in this Article. The placement of a hand on a Bible while reciting the Oath or Affirmation was something that George Washington chose to do, and it has been a tradition ever since. Democracy: A form of government in which all citizens have an equal say in the decisions that affect their lives. Such a system includes equal participation in the proposal, development and passage of legislation into law. Electoral College: A body of electors chosen by the voters in each state to elect the President and Vice President of the U.S.
Executive Branch: The branch of government responsible for executing, or carrying out, the laws. An executive in government can be a president, or a governor. Leveling: Moving money from one group of people to another by raising and lower taxes accordingly in an effort to achieve economic equity in society. Republic: Form of government that uses the rule of law through a government system led by representatives and officials voted in by a democratic process. The United States enjoys a Constitutional Republic. 1. Why didn’t the Founding Fathers make the President a king? 2. How does the Electoral College ensure fairness for the minority States? 3. What is the difference between a democracy and a republic? 4. Why did the Founding Fathers divide the voting power? 5. How is “citizen,” and “natural born citizen,” different? 6. Why were the Founding Fathers concerned about divided loyalty? 7. How does the eligibility requirements ensure that the President, especially as Commander in Chief, holds full allegiance for the United States? 8. How was the way the Vice President was chosen in the 18th century different from how the Vice President is chosen today? The operation targeted al Qaeda in Yemen. During the mission an "aircraft was unable to fly after the landing, [and] the aircraft was then intentionally destroyed in place." As a result, one of the members of the special operations team was killed, and four others were injured. 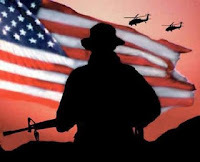 The raid was designed to kill or capture members of the al Qaeda cell known as al Qaeda in the Arabian Peninsula (AQAP), and obtain data to assist in the war against Islamic terrorism. 14 AQAP operatives are dead according to command officials. “Americans are saddened this morning with news that a life of a heroic service member has been taken in our fight against the evil of radical Islamic terrorism,” Mr. Trump said in a statement. Mr. Trump was repeatedly updated on the progress of the operation as it was underway, White House press secretary Sean Spicer said Sunday. During the interview, Mr. Spicer argued that the Yemeni incident was one reason Mr. Trump’s travel ban from a string of Muslim-majority nations was justified in keeping the American homeland safe. “That’s why this order is so important,” Mr. Spicer said, referring to the Yemen operation. The countries listed on President Trump's executive order include Yemen, Iran, Iraq, Syria, Somalia, Sudan and Libya. “If [U.S. forces] are going to go out there and put their lives on the line every day to fight ISIS, to fight other people who are seeking to do us harm … we do our part to make sure that we’re not having an open door to allow [those] people to march right into our country,” Mr. Spicer said. President Trump is following his campaign promises in lightning fashion. 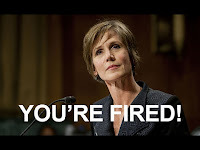 . .
Sally Yates has been acting as Attorney General while we wait for Jeff Sessions, Trump's nominee for the position, to be confirmed by the United States Senate. 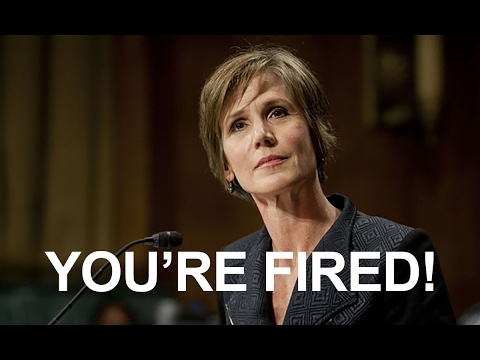 Yates is an Obama appointee. She's a hard left liberal, and she instructed her subordinates to not enforce President Trump's executive order, calling it unconstitutional. In response, Donald Trump fired her. According to Article II of the United States Constitution, all executive power is vested in the President of the United States, which includes the persons serving under the President in the executive branch. Therefore, it is the job of those executive branch officials to carry out the executive powers of the President as the President sees fit. While they are free to disagree with him, they are essentially his employees, and if they do not want to do their job by executing the President's directives, they can either resign, or expect to be fired. The Democrats have responded as if what Trump did, in regards to the firing of Yates, was somehow outside his authority. He had every right to fire Acting Attorney General Sally Yates. It is his executive branch. 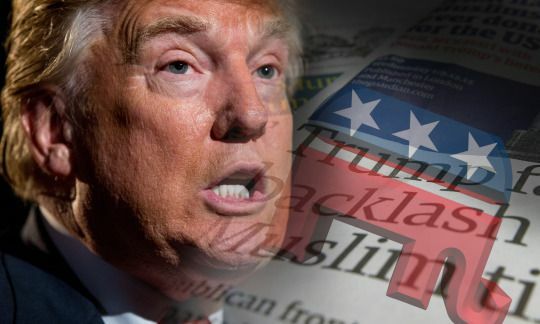 The whole thing emerged over President Trump's executive order temporarily restricting the admission into the United States persons from a list of seven Muslim-majority countries with a history of harboring terrorists, funding terrorism, and promoting the Islamic jihad. Yates' opposition to the president’s policy was fine. She's entitled to her opinion. But, as his employee by refusing to follow the executive order she was, simply put, insubordinate. I am sure the Democrats will hold her up on their proverbial shoulders and label her courageous and a hero. She has just thrust her name onto the list of rising Democrat stars that she probably had no chance of being on, otherwise. Her act of sabotage will be celebrated. Why Donald Trump had left her in place, in the first place, I have no answer. Honoring a campaign promise, President Trump, over the weekend, issued an executive order temporarily curbing the entrance into the United States persons from seven Muslim-majority countries who have a history or harboring, funding, and promoting terrorist activity. The liberal left progressive Democrat Party automatons have naturally gone out-of-their-minds and are protesting in community-organizer-Saul-Alinsky-style. The leftists claim Trump’s executive order violates the rule of law, what America is all about, and human decency. They claim Trump's executive order is the worst violation of human rights in history. . . an exaggeration at best. I am never surprised when the liberal left goes over the top, but this definitely ranks among the most insane responses by the Democrats, yet. These same protesters were silent while Obama bombed parts of the Middle East, or whenever his executive branch was deporting illegal aliens. The political left in the United States vowed to do everything they could to stand in the way of the Donald Trump presidency. Never mind that they were accusing the Republicans for being obstructionists when they merely refused to support the Obama doctrine at the congressional level. The leftists likely knew Trump's executive order was coming. He telegraphed his intent during the campaign. And now, they are doing all they can to stand in the way of Trump's attempts to make America safe again. The question is, are they truly against the executive order, or is this simply a chance to be obstructive to Trump's attempts to secure our national security? Setting aside legalities for just a moment, let's take a look at the fact that the order only chooses seven countries out of more than fifty Islamic countries in the world. If this was a racist move against Muslims, would not the order include all Muslim-majority countries? If Trump's order was meant to target a particular religion, would not that religion be named in the executive order and include all persons who practice that religion, no matter what country the persons come from? The leftist media, by the way, has found a way to look the other way when it comes to the hypocrisy of the protests. Where was the outcry in 2011? The Obama administration stopped admitting Syrian refugees for six months, back then. It was a full-stop, yet not a single protest. If this was about being a nation of immigrants who always lets in refugees because that is what we do, where was the outrage when the Democrat President did something similar? Over a hundred years ago President Teddy Roosevelt banned all Muslims (in the name of banning persons supporting bigamy), and less than forty years ago Democrat President Jimmy Carter banned Iranians from entering the country. In the case of Jimmy Carter, I don't remember any leftist outcry back then, either. While folks in the media and Democrat politicians say that refugees are vetted already, and that the vetting process through the United Nations is extensive, then how do we explain the increase of terrorism in countries like Germany and France where the number of refugees has also gone up? Is there a correlation? As for the argument that we have had no terrorist attacks by refugees from any of the countries listed in Trump's executive order, that is simply not true. Last November a Somali refugee slammed a car into a crowd and then chased them with a butcher knife at Ohio State University in the name of jihad. Of course, the argument that no refugee from those countries have been involved in terrorism in the United States is an idiotic argument. That's like saying, "I've never had a car's engine by Japanese automakers burn up on me, so it will never happen (therefore, I don't have to worry about oil changes, anymore)." Besides, with as many persons from those seven countries entering the country as we've had over the past few years, terrorist attacks by "refugees" from those countries is inevitable. As for the persons detained as a result of this executive order? They've all since been released once the questioning was complete. As the White House Press Secretary, Sean Spicer, said, "Let's keep this all in proportion...coming into this country is still a privilege. We're the greatest country on Earth. And being able to come to America is a privilege, not a right. And it is our duty and it is the president's goal to make sure that everybody who comes into this country to the best of our ability is here because they want to enjoy this country and come in peacefully. And so he takes that obligation extremely seriously." Yesterday I had the Blessed opportunity to spend some time with the South Los Angeles Inglewood Republican Assembly group. It was their scorecard awards ceremony and I had the opportunity to attend this event at the Boys & Girls Club in Los Angeles. 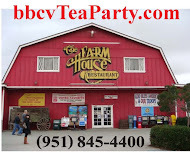 I met members of this group last year during an Orange County picnic for local Republican Assembly groups, I had been invited to the picnic by a Republican Assembly group I had spoken for at an event not long prior to that. So I bought a half-page ad on the program for yesterday's event, I figured I might as well buy a ticket, too, so I could be there to see what they were up to. The folks I met were phenomenal. I joke that I am blessed to live in Murrieta because the Murrieta-Temecula-Menifee area is the new Orange County. We sometimes feel like we're the last Republican Bastion of Southern California. These folks in Los Angeles, however, live in a very hostile territory when it comes to being a republican. Conservatism is not exactly a majority opinion in the Los Angeles area. The gentleman who invited me introduced me to a number of folks there, and I was interviewed by a local video/television outlet. At my table we talked about the U.S. Constitution (or course), and one of the young men who was a business owner told me I was literally blowing his mind with what I was talking about when it came to State sovereignty and the States, since they are the authors of the Constitution, they are the parents over the federal government. We discussed authorities, and how sometimes the federal government has taken authorities upon itself that while seems obvious they should have the authority (such as in the cases of the FCC or the FDA or the FAA), they took it upon themselves to have those authorities without asking the States first through the amendment process in which it takes 3/4 of the states to ratify. By the end of the evening I had run out of business cards and I had shaken hands with nearly everyone in the room. Here's the thing; we are told all the time about how it is the Democrats who are the diverse ones and it is the Republicans who are somehow the racist and non-tolerant and non-diverse ones. However, it turned out to be a very diverse group at the South Los Angeles Inglewood Republican Assembly. At my table alone we had three black gentlemen, two Asians, one Hispanic (for a short moment) and myself, the white. The entire room was a mixture of backgrounds, ethnicities and races. The majority in the room was black. Hispanics took of the prize for second place. There were even a few folks from the Middle East that I had a chance to talk to who are very conservative. All in all it was a pleasure spending time with these folks well into the evening and a great opportunity to get to know my constitutional counterparts and allies in the battle against leftism in Los Angeles. 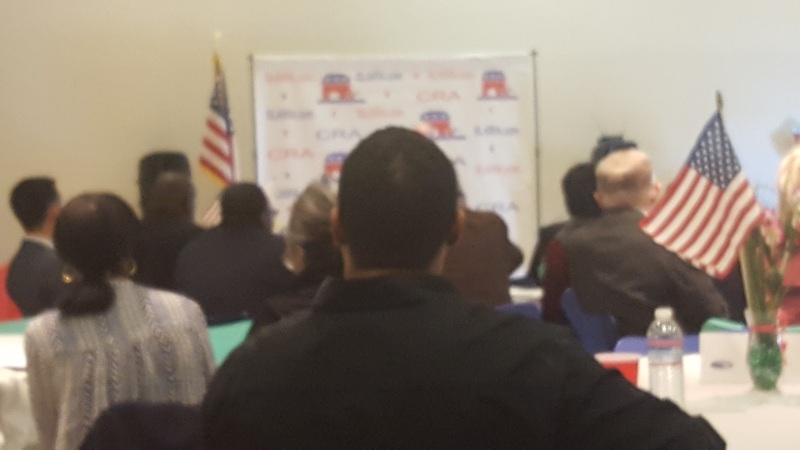 Let me tell you, if I lived in Los Angeles, I'd be a member of the South Los Angeles Inglewood Republican Assembly. That said, I am a member of the Murrieta-Temecula Republican Assembly, so I am a California Republican Assembly member already. We should be working together, too. In the Inland Empire, Orange County, or Los Angeles, conservatives realize what we're up against and it is apparent that all of these conservative republicans are up to the fight. Oh, one more thing... the enthusiasm over the Donald Trump presidency in that room was incredible, and nobody in that room believed the deceptive narrative by the left that claims Donald Trump and the persons around him are white supremacists, or a bunch of racists. In fact I meant one historian, a black woman from San Bernardino, who has studied history quite intricately. We talked about how Dinesh D'Souza nailed it in Hillary's America when he discussed the racist history and background of the Democrat Party. Unfortunately, the propaganda arm of the Democrat Party has been so good that a lot of folks don't even know what the truth is. Hundreds of thousands of travelers enter the United States every day, and out of 193 nations in the world, on Sunday, 325,000 passengers traveled to the US, and only 109 travelers from 7 terrorist-sponsoring countries were detained on Sunday in compliance with President Trump’s Executive Orders. The Executive Orders imposed a 120 day moratorium on refugee resettlement, and a 30 day ban on those entering on visas from 7 terrorist-sponsoring countries. Of the 109 detainees, less than a dozen were restricted from staying in the United States. The Trump administration has been sued for the “Terrorist Ban”, restricting foreigners from the 7 terrorist-sponsoring nations from entering the US. The 7 terrorist sponsoring nations of Syria, Somalia, Iraq, Iran, Yemen, Libya, and Sudan have government positions filled by international terrorists, and have terrorist training camps operating within their borders. The Islamic State has trained thousands ISIS Islamic Radical Terrorist from the 7 terrorist-sponsoring nations. Many of the trained ISIS Radical Islamic Terrorist are returning to the 7 terrorist-sponsoring nations; it is critically important for the safety of the Republic to restrict the citizens of those 7 nations from entering the US. The below listed article discusses the law suit filed against the Trump administration’s “Terrorist Ban”. It lists 5 organizations that are plaintiffs in the law suit. The International Refugee Assistance Project, The Jerome N. Frank Legal Services Organization at Yale Law School, The American Civil Liberties Union (ACLU), The International Refugee Assistance Project, and The Open Society Foundation are listed as plaintiffs in the law suit; they have all received generous donations from the former “Nazi”, George Soros (Google his background). The 6th and the 7th organizations that has been working very closely with George Soros’ “Open Borders” policy, and is very much involved in the law suit, is the Muslim Brotherhood (MB) and the Communist Party, USA. The MB is the prime mover behind organizing demonstrations across the nation against President Donald J. Trump’s Inauguration on January 20th & 21st, and his Executive Orders temporary halting the Immigration of travelers from the above listed 7 terrorist-sponsored nations. The MB fear that the Trump administration may outlaw and ban it and its Front Groups as Egypt, Saudi Arabia, Syria, Bahrein, the United Arab Emirates, and Russia did, when they designated the MB and its Front Organizations as International Terrorist Organizations. Israel, Canada, and the United Kingdom have announced that they are also close to designating the MB as an International Terrorist Organization. 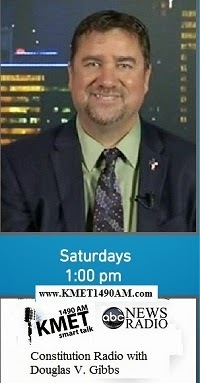 The MB Front Groups, like the Council on American-Islamic Relations (CAIR), Islamic Society of North America (ISNA), Muslim American Society (MAS), Muslim Student Association Chapters (MSA), and the Holy Land Foundation (HLF) have thousands of members operating in the United States and the UN controlling the UN Muslim Refugee Resettlement Program. The UN Muslim Refugees Resettlement Program that has brought in over 900,000 Muslim refugees from the Middle East and Africa into the US over the last 8 years. MSA is a college student organization, founded by the Muslim Brotherhood in 1963 at the University of Illinois. In the early 1980's, the MB also created the Islamic Society of North America (ISNA), in order for it to be the "nucleus" of the Islamic Movement on the North American continent. It was formed by many of the leaders who created the MSA, and is in fact an outgrowth of the MSA. ISNA has become the umbrella organization for all MB Front organizations created by the MB in America. In 1980, when the ISNA was created in the US by the MB, it then created over 100 organizations to help accomplish MB’s stated mission, the “Civilization of Jihad.” In 1992, the Muslim Brotherhood Strategic Plan (MBSP) was published. The goal of the MBSP was to create thousands of Islamic organizations, in accordance with the MB Implementation Manual. The MB then created many new Islamic Societies, 2200 Islamic Centers and Mosques, 160 organizations (social organizations, media organizations, legal foundations, medical clinics, & trade associations), 700 Muslim Student Associations (MSA) on every major College & University campus, and other organizations across the US. In 2001, the Justice Department indicted the Holy Land Foundation (HLF) for financing Terrorism. By 2008, the Justice Department successfully obtained a judgement against the HLF for Terrorism--Financing. The HLF prosecution was the largest Terrorism-Financing trial in American history, and the Justice Department proved that the MB directed the HLF to provide ‘media support, provide millions of dollars in financing to train thousands of men in Hamas Terrorist Training Camps (a violation of US Federal Law). CAIR, MAS, and ISNA were named as unindicted co-conspirators, along with 300 other unindicted co-conspirators, in the HLF US Federal Terrorist Case. Federal prosecutors explicitly named CAIR, MAS, and ISNA as Muslim Brotherhood entities in the trial. Yet for 8 years Obama, with the help of the left of center liberal media establishment, the MB, and MB Front Groups covered up the convictions. Since 2001, the number of Islamic Operational Centers has dramatically increased to over 4000 locations, and Obama brought in over 900,000 Middle East and African Muslim Refugees to the US to populate, support, and operate those MB network and operational centers/locations. The goal of establishing over 4000 thousands locations, like Islamic Centers, trade associations, Medical Centers, etc., and populating them with Middle East & African Muslim Refugees, was to fulfill the MB's stated “American Mission”(posted on the MB International Web site), which is to accomplish - "Civilization Jihad". “Civilization Jihad” is the method outlined by the Muslim Brotherhood in their Mission Statement, to replace the law of an elected government, with a governments governed by “Sharia (Islamic) Law”, as the law of the land. In the US, the MB’s goal of “Civilization Jihad” is to destroy the US Government from within, by replacing the US Constitution with “Sharia Law” (it’s the same goal Communists had when they tried to take down the US Government from within in the mid-1940s and 1950s). The plan of the HLF to replace US Law with Sharia Law was proved in US Federal Court by the US Department of Justice, in the HLF terrorist trial, resulted in the conviction HLF in 2008. Members of the MB and their Front Groups have been placed by the Obama administration in thousands of highly sensitive US Government positions, many more sensitive positions than the Communist Party once filled, when it infiltrated the US Government in the mid-1940s and 1950s; their intent was to take over the US government from within. Every year for 8 years, the MB and its Front Groups at the UN prevented over 300,000 Syrian and Assyrian Christians fleeing from ISIS brutal and bloody genocide in the Middle East, being housed by the Greek Catholic Relief Agency, from being approved for resettled in the US; the UN Refugee Resettlement Program is run by member nations sympathetic to the MB. For the last 8 years, the Obama administration supported the UN boycott of those Middle East Christians preventing them from entering the US. Following each of the 94 “Radical Islamic Terrorist” attacks on Americans in the US, the MB and its Front Groups mounted a massive “Politically Correct” and dishonest Public Relations responses to each murderous attack against Americans in the US, denying and deflecting any linkage of those terrorist attacks to Islam, even though the perpetrators often sent messages on social media that they supporters one of the following---ISIS, Al Q’ieda, Jihad, Salafists, the Taliban, etc. The left of center liberal media establishment worked very closely with the Obama administration for 8 years to cover up each Radical Islamic Terrorist attacks; very few Americans are aware that there has been 94 Radical Islamic Terrorist attacks in the United States. For the last 8 year, any reference to Islam deemed offensive to Muslims and history of past attacks were removed from training manuals, classroom instructions, reference material, and historic data maintained by the FBI, the CIA, DHS, DOD, State, the Justice Department, the Border Patrol, Customs & Border Protection, the Army, the Navy, the Marine Corps, the Air Force, the Coast Guard, NSA, 17 Intelligence Agencies, etc. The MB’s plan to replace the law of the United States with Sharia Law, is outlined in “Understanding The Threat” by its author, former FBI Special Agent John Guandolo, a US Naval Academy graduate in the Class of 1989. SA Guandolo served with distinction as an a commissioned officer in the US Marine Corps and his Web site can be viewed at http://www.UnderstandingtheThreat.com “Civilization Jihad” has been outlined in many published articles, and videos like “They Must Be Stopped” by Brigitte Gabriel, books, and in many radio & TV interviews about the Muslim Brotherhood. Information on “Civilization Jihad” can be easily found, in many of the Muslim Brotherhood writings, on their International Internet Web sites, and on other Islamic sites. American who don’t consider the MB and their Front Groups a threat, should look at how Sharia Law has been destabilizing the governments of European Union like England, France, Germany, etc. Just prior to the Inauguration of President Trump, the Obama administration encouraged hundreds of members of the MB and MB Front Groups, that they politically appointed, to convert their political appointed positions, into permanent Civil Service positions. The members of the Muslim Brotherhood and its Front Groups must be required to swear allegiance to the US Constitution and the US government, instead of swearing allegiance to Sharia Law. As Obama was leaving office, he supported the election of Cong Keith Ellison (D-MN-5), a strong supporter of the Muslim Brotherhood, the Nation of Islam, and the Communist Party USA, to be Chairman of the Democratic National Committee. We will soon present the detailed background on Ellison, and his long time ties with the Communist Party. 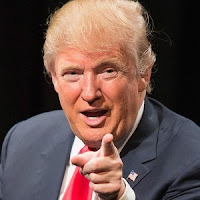 When it comes to running the country as president of the United States, what we have learned about President Donald J Trump is that he is impatient and wants to get things done as quickly as possible. What that means is he is trying to implement what he wants to do by executive order. Executive orders are supposed to be either proclamations, or rules for within the executive branch. The executive branch is the enforcement arm of the federal government. The authority to execute the laws of the United States are the job of the President of the United States, which he can instruct his departments and agencies to carry out. The thing is, when an executive order is put into place, we must also determine whether or not it directly enforces an existing law, or is it trying to create law. The protests over the weekend regarding Trump's executive order to temporarily ban persons from 7 Muslim countries rings the question of authority and constitutionality to light. When we look at what Donald Trump did with his executive order banning the entry of persons into the United States of certain persons we must ask ourselves if he is acting to execute an existing law, or has he created or modified law outside constitutional authorities granted to the executive branch. Article 1 Section 9 of the United States Constitution grants Congress the authority to prohibit persons from migrating into the United States. Congressional action on this must be with legislation, of which the President would sign once the two Houses approve it. There are already a myriad of laws on the books regarding immigration, and during the President Obama administration's time in the White House he chose not to execute those laws. Obama, by refusing to execute immigration laws that were on the books were unconstitutional because his inaction was a violation of the US Constitution. In Article 2 Section 3 it requires the president Faithfully execute the laws of the United States. With that in mind, with the current president, we must also require that his executive orders faithfully execute the laws of the United States. Regarding Trump's executive order regarding 7 Muslim countries and a ban of persons from those countries coming into the United States, we must then ask if that executive order is executing existing federal law, or creating law. While I am not going to pretend to know every law on the law books, it has come to my attention by way of a discussion with a retired Border Patrol agent, that in the US Code Section 8, the president has the discretion to prohibit certain persons from immigrating into the United States if he believes they are to be a danger to National Security. This makes sense, since he is the commander-in-chief. when it comes to running the country as President of the United States. There is also an argument out there that there is a law on the books that prohibits persons from being prohibited because of their nationality. It it is a law, then Congress can repeal it. In the Constitution there is no verbiage limiting Congress regarding their decision on who to prohibit. There is no language in the Constitution associated with immigration that says Congress cannot prohibit persons because of their nationality, ethnicity, nor religion. 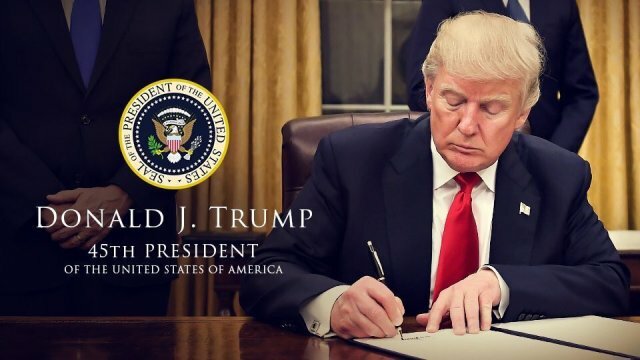 What we have learned about president Donald J from the current situation regarding his "Muslim ban" executive order (as the left is calling it) is that he is impatient and want to get things done as quick as possible. What that means is he is trying to implement what he wants to do by executive order. Again, executive orders are supposed to be either proclamations, or rules for within the executive branch. The executive branch is the enforcement arm of the federal government in which the ability to execute the laws of the United States are his job. The thing is, when an executive order is put into place, we must also expect the President to take more into account than merely whether or not the order directly executes existing law, or is it trying to create law. The protest over the weekend regarding Trump's executive order to temporarily ban persons from 7 Muslim countries brings another question to light. When we look at what Donald Trump did with his executive order we must not only ask if he is acting to execute an existing law, or has he created law or modified law outside constitutional authority, but also did Trump perhaps jump the gun a little bit by not take into consideration the intricacies of making law. Among the legal discussions regarding Trump's executive order, there is a question regarding his executive order in terms of if it includes persons with green cards or approved visas. In other words, does the executive order ban all persons who are not citizens, or persons who are not citizens or those who have failed to secure certain work visas or certain green cards (resident alien cards). The confusion has created an interesting situation. Do we have exceptions to the executive order such as the mother who is returning from Iran who lives here on a green card? This has created a legal quandary at the airport, and the liberal-left lawyers are jumping all over it. The ACLU is having a field day with it. So the question is did Trump take into consideration all of these possibilities. Had Trump gone through Congress wouldn't they have considered all of these possibilities because of the debates they would have to have with the other side of the political spectrum? Even if Trump has the authority as President of the United States to put into action the executive order that he signed, would it have been a good idea to consult Congress, and request legislation first so that all of the legal intricacies and necessary provisions to quell all fears would be included? This is where I think President Trump may have overstepped his bounds. Whether or not it was constitutional or legal for his executive order is one thing. Whether or not it was a wise move to word it exactly the way he did without Congressional influence is another. You are only as good as the people around you, and if the people around you are able to make sure all of the "t"s are crossed and "i"s are dotted, then it is wiser to go through those people before you do something. Henry Ford, when asked about his success, indicated he surrounded himself with people who knew what they were doing and he did what they told him. Donald Trump needs to learn to do the same. "What" Trump was trying to do with the executive order is not the problem. "How" he decided to do it is. Whether or not it was legal or constitutional is definitely an important piece of the puzzle, sometimes a President should not do what he "can" do, but instead should consult those around him who have been in Washington longer, understand the legal system, understand how to debate and how to cover themselves. Trump did not do that because of his impatience. I will admit, it is still better than what Obama did. He thought he was too smart for Congress, and purposes circumvented Congress, not because of impatience as we see in the case of Trump, but because of his narcissism that told him he didn't need Congress.